The group consists of amateur, student and professional musicians who present concerts throughout the season. The singers audition in order to become part of the ensemble. Our director and accompanist are professional musicians and are our only paid staff members. Brian McLinden has been our director since 1993. Currently, our main source of income is ticket sales. A variety of other fundraising functions such as raffles and auctions supplement our income from ticket sales, as well as performances at holiday parties, masses, weddings and other functions outside of the concert venue. Private contributions are also an important source of income. All revenue generated goes directly to the support of the choir. We keep our advertising and promotional expenses to a minimum, and volunteers handle all our administrative work. The Board of Directors works with the Music Director to set the general artistic direction of the ensemble. The Board provides the organizational and financial direction for the ensemble, as well. Brian McLinden has been our Director - and so much more - for 26 happy years. But all good things must end, and Brian will be completing his time with us at the end of this season. We will miss him and we hope he will miss us, but both the Choir and Brian will have the opportunity to explore new avenues in music and performance. Brian’s final concert with us will be the Bernstein Anniversary celebration (April 28th at St. Christopher’s-River Hills and May 5th at Congregation Shalom in Fox Point). Bach Chamber Choir of Milwaukee seeks a choral and orchestral Director beginning with the 2019-2020 season. Contract begins June 1, 2019 with initial rehearsal for the fall season in mid-August. Our three to four concert season is 10 months in duration from mid-August through mid-May. Concert preparation includes weekly Tuesday evening rehearsals from 7:15-9:30 as well as additional on-site dress rehearsals. Performances are held in October, January (Epiphany Sunday), and April. Historically the choir has repeated either the fall or spring concert. The Director works with the board to plan and execute the concert season, working with the choir and the professional accompanist throughout. 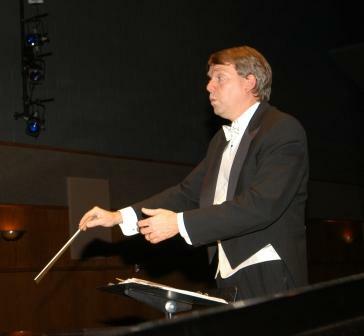 In addition to conducting all rehearsals, dress rehearsals and performances, the director also directs any and all instrumentalists hired to accompany those rehearsals and performances. Ability to communicate musical directions clearly is extremely important, as is the ability to communicate with the singers with tact, humor, and clarity. Since budget often requires reworking of instrumental accompaniment, arranging and composing skills are highly valued. The choir also performs on a contracted basis for weddings, funerals and Christmas caroling events. In recent years the BCC has developed community outreach relationships resulting in additional smaller scale performances, which require additional time for planning and execution with the assistance of the choir Outreach Coordinator. The Director is required to prepare and direct the choir for adjunct performances as needed, and compensated appropriately for additional time. Applications are due by March 31, 2019 and should be e-mailed to: davidewihowski@gmail.com. Applications should include a resume with educational background and career experience to date as well as a minimum of 2 professional references. Short, unedited videos or mp3 recordings of live concert performances are welcome if available. While late applications may be given consideration, we recommend getting them in as soon as possible, due to our own time constraints.